This template comes in 8 pre-made color variations. But it will only take one minute to create your desired color schemes by using theme options. 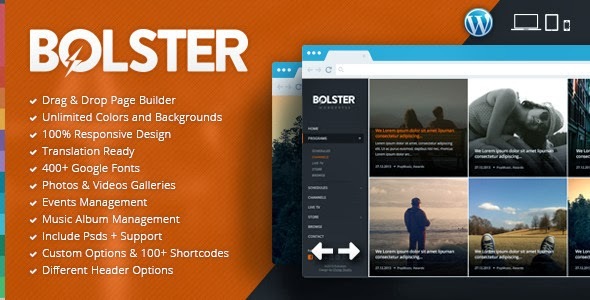 Item Reviewed: Bolster - WordPress Theme for Bands and Music Websites 9 out of 10 based on 10 ratings. 9 user reviews.